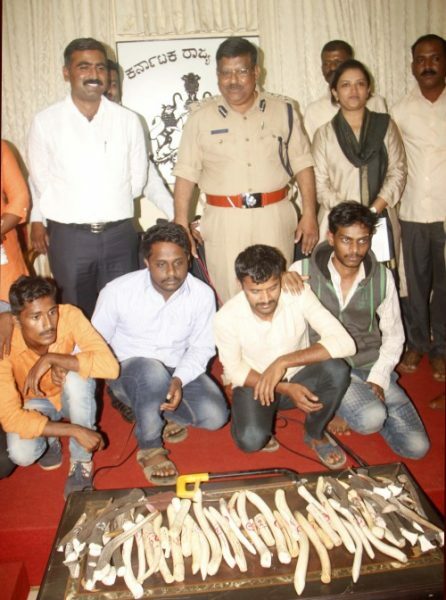 Acting on a tip off the crime branch raided the hideouts in Belgundi village and arrested 5 persons who conned buyers that deer horns were elephant tusks. Nagesh Madar, Ramachandra Dalavi, Ravindra Kolkar, Parashuram Nilajkar and Aman Kanabargi have been arrested. The horns of Sambar Deer an endangered species were stored in Belgundi and the horns were also polished to give them a feel of elephant tusks. According to the Police it came to light that the accused were hunting deer in the neighbouring forests and collecting horns on a regular basis.